Spinal decompression in Manhattan. Call (212) 645-8151 today. Have you been told you need a back surgery? I have had several patients that recently injured their back go to their Medical doctor and had a MRI done, from that point they are usually reffered to a orthopedist and they want to do a surgery. Some doctors including Neurosurgeons do not want to do a surgery unless it is neccesary because they are conservative. 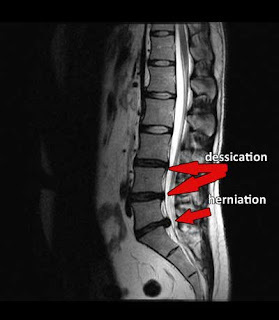 There are other doctors out there that recommend surgery for every herniated disc patient that walks in the door. I have sent patients out for back surgery consults and I have had patients that had back surgery that has been a failure. There is a time and place for Spinal fusion and Disc surgery. Over the years I had patients with grade 4 and above spondylolistheis that required a stabilization and have been greatful for the surgery. If you have chronic back pain or sciatica before you go under the knife please look into Non Surgical Spinal Decompression. I use the DRX 9000 in my Manhattan office. Not every patient qualifies for Spinal Decompression, but if carefully qualified the results are outstanding. New York Spinal Decompression specialist.